Date nights are good for us. They strengthen marriages, deepen connection, and even increase sexual satisfaction. That’s the finding of one of the most prominent studies on the subject, “The Date Night Opportunity” report from the National Marriage Project at the University of Virginia. Yet for busy, tired, and cash-strapped parents, date nights — quality one-on-one time spent with your significant other — are one of the first things to fall off the priorities list. When the needs of little people who are dependent on us for their care weigh on us 24/7, it can be easy to take our relationships for granted, especially when we’re married. After all, we’ve already secured that relationship, right? Maybe not. In addition to increasing relationship quality, regular date nights can make couples less prone to divorce. The Marriage Foundation’s “Date Nights Strengthen Marriages” report concluded that “[b]y going out every so often, married couples reinforce the importance of their relationship,” thereby making them less likely to split apart. In other words, date nights matter. If date nights are so good for us, what keeps them from happening? Both of the above studies looked at the effect of date nights on married couples with children and found them especially crucial for parents, yet parents are the first to forgo them. 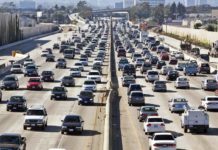 The reasons many cite, according to clinical psychologist Dianne Grande, Ph.D., include being too tired, being too busy, a lack of ideas and planning, and cost. 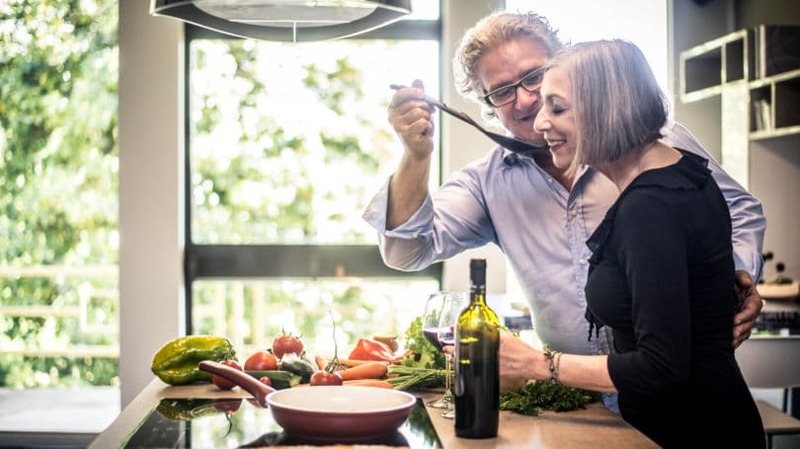 While many of these problem areas can be addressed by hosting a date night at home, for a lot of couples — especially ones that include stay-at-home or work-at-home parents – a night out can feel like a necessary indulgence. Plus, going out is often just plain fun, and what busy parent couldn’t use a little more of that? Even though it might take a bit more energy and money, getting out of the house on occasion trumps the at-home date. That said, for parents with already-stressed budgets, date nights out might seem unattainable. The average price of dinner and a movie clocks in at $75 per couple, not including the cost of babysitting. With the average date lasting four hours and the average cost of a babysitter coming to $16.43 per hour according to UrbanSitter’s 2018 survey, the average night of babysitting comes to over $65, not including the tip or other perks, such as food, that many parents toss in for their sitters. Although there are a variety of ways to save money on babysitting without skimping on the quality of care, one way to lower the overall cost of a date night out is simply to go on cheaper dates. When it comes to planning your own budget date nights, here are some general tips for ways to save. Deal sites like Groupon or LivingSocial allow you to pre-purchase tickets for a variety of activities at discounted rates. You can often save as much as 50% or more on restaurants, concerts, theater tickets, couples massages, and even fun activities like escape rooms, mystery dinner theater, or paint-your-own ceramics sessions. Besides saving money, another great reason to use deals sites is to discover new activities you might not have considered otherwise. My local Groupon site, for example, has Groupons-for-two that include potential date night activities like archery, paintball, winery tours, brewery tours, indoor rock climbing, comedy club tickets, and even ax throwing. Just be sure to read any fine print so you know what you’re buying and there aren’t any surprises when you go to redeem your voucher. Before you head out, check out Restaurant.com to see if they’re offering any deals for your chosen dining location — or discover a new one. You can usually find deals for over 50% off, and they post reviews so you can check out others’ comments before you decide to buy a voucher. Just be sure, as with Groupon, that you read the fine print so there aren’t any surprises. Another way to save on restaurants is to use a coupon app like RetailMeNot. In addition to coupons for retail stores, RetailMeNot provides a roundup of the latest coupons available for restaurants in your area. Many restaurants also offer apps of their own, which are usually tied to their loyalty programs. You typically receive a freebie for signing up and then have the possibility of earning future free stuff, such as a free appetizer or dessert, the more you visit that restaurant. These days, I rarely head out to a restaurant without a coupon in hand. Whether they come by Valpak or flier, there always seems to be an amazing amount of coupons arriving for free in my mailbox for all kinds of local restaurants. Between good, old-fashioned paper coupons and those from apps like RetailMeNot, it’s been a very long time since I’ve paid full price for a meal at a restaurant. Although it might clutter up your inbox, signing up for establishments’ email lists will result in a variety of discounts and perks coming your way. Make sure you include your birthday on all those sign-up forms; every year around my birthday, my email inbox is filled with coupons for free stuff, from free appetizers to free desserts to free entrees. You can also score a bunch of discounts and freebies by following establishments’ social media accounts, which often share promos like free admission days. You’ll also stay current on any special events happening at your favorite spots. Many restaurants, movie theaters, and other establishments offer reduced prices on weeknights as a way of attracting customers on slow days. For example, our local movie theater sells tickets for all its screens, including 3D and IMAX, for $5 on Tuesdays (normal prices range from $8.75 to $15.25). Members of their free rewards program also get free popcorn. As a double bonus, it’s generally easier to find a babysitter on a weeknight. Seeing a matinée will always score you the lowest price on a movie ticket. 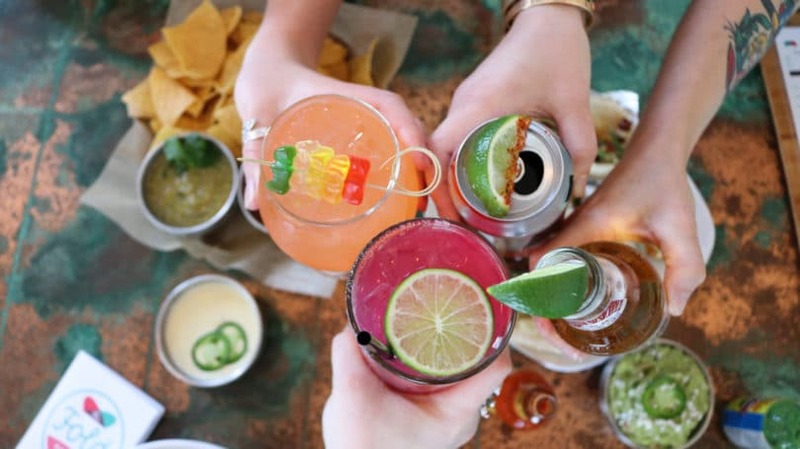 Likewise, getting lunch instead of dinner is less expensive, as is getting drinks or appetizers during happy hour. Many museums, zoos, and other prominent attractions have free or reduced-price admissions days. Our local art museum, for example, always offers free admission on Sundays, and our zoo has several free admissions days throughout the year. Additionally, take advantage of any memberships and season passes you may have already bought for your family. Though you may have purchased them with your children in mind, it can sometimes be fun to visit these places without the kids in tow. For example, we maintain an annual membership to our local science museum specifically because our son loves it. But sometimes, it’s nice to have the time to linger over an exhibit without having to worry about our 3-year-old jumping into the dinosaur diorama. Our science museum hosts after-hours, themed, adults-only nights for just this purpose. Communication. Date nights allow couples to have meaningful conversations and make deeper connections. Novelty. Date nights allow couples to engage in fun and unique activities outside the norm. Eros (Romantic Love and Passion). Because date nights allow couples to participate in romantic activities, they contribute to keeping romance and passion alive. Commitment. Date nights strengthen couples’ commitment by providing the opportunity to focus exclusively on each other and put the relationship first. Relaxation. Date nights give couples the opportunity to relax, unwind, and distress. “The Date Night Opportunity” report claims that stress — which can make people irritable, withdrawn, and even violent — is one of the biggest threats to a stable marriage. The report found that most couples experience some amount of decline in relationship quality after a few years, and it claims this is due, in part, to couples becoming so used to each other that they start to take each other for granted. In fact, taking each other for granted is also one of the key reasons married couples with children often forget about date night altogether. To make sure you have a truly awesome date night — and to make paying the babysitter worth it — your date nights need to be more than just the same-old-same-old. It’s so easy to fall into a rut, especially when you’re busy and tired, and coming up with something new just feels like too much work. My husband and I, for example, often fall back on the old standby — dinner and a movie — for our date nights. 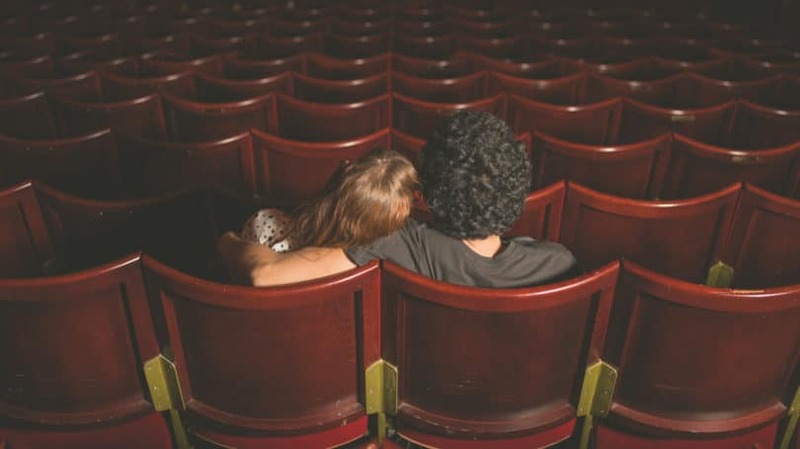 Though we both enjoy going to the movies, this is not only an expensive date, but it’s also not particularly exciting or unique, so it doesn’t really give us the opportunity to break out of our habitual patterns, have fun, and connect over something new. So how do you come up with date night plans that are new, fun, and don’t cost a ton? We’ve got you covered. 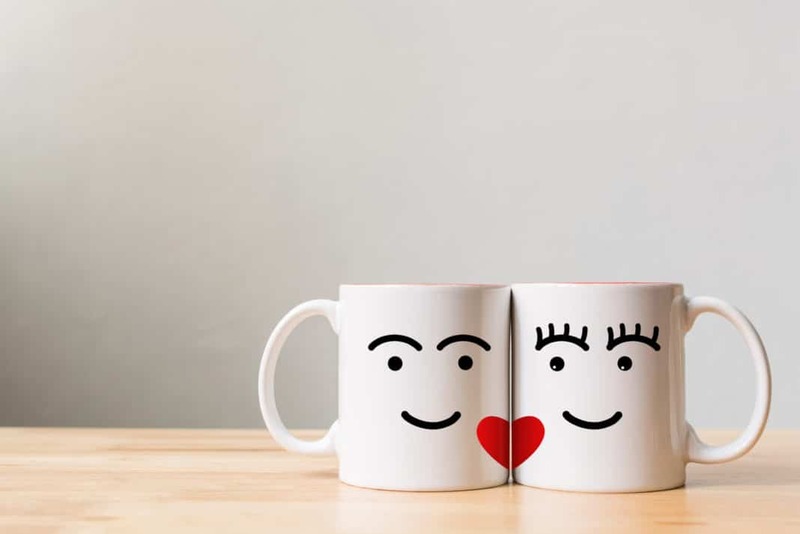 To help you with your own date night plans, here are some date night ideas that address two big obstacles to maintaining date night — cost and a lack of ideas — and take into account the factors important to a good date night. Costs will vary depending on where you live, but in general, these ideas shouldn’t cost you more than about $20. If dinner and a movie are your usual go-to, but you’re looking to either save a little or try something different, visit your local art film theater. Tickets are generally cheaper than the commercial theaters, and you’ll have the chance to shake up your repertoire without entirely breaking free of your comfort zone. 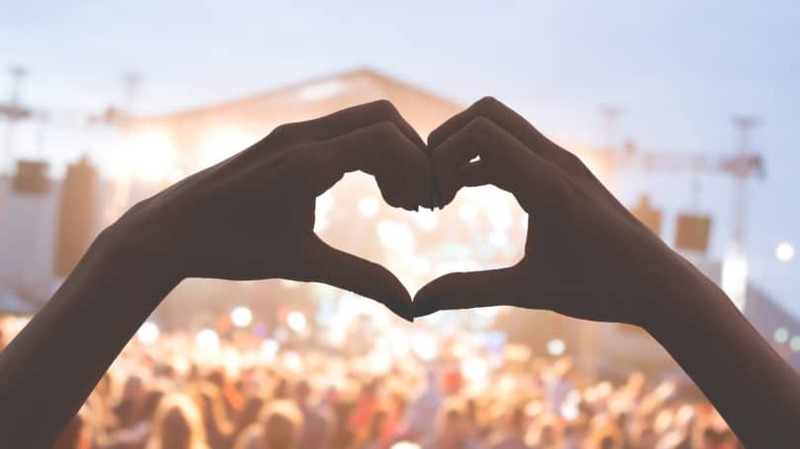 Summertime is the best time for a cheap date as the warm weather allows for all kinds of outdoor activities that are typically free to attend. Though some charge an admission price, outdoor movie series in many communities are often free. 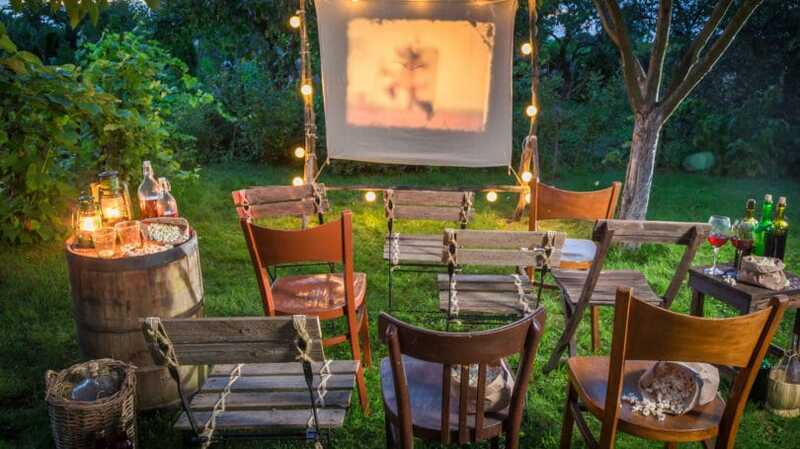 Many of these are family-oriented, but it is possible to find an outdoor movie series tailored to adults. Our community hosts one specifically for those 21 and older. It includes food trucks, craft brews, and live music before the movies. It isn’t free, but at $9 per person, it’s still cheaper than a regular movie ticket and is a novel experience to boot. It’s definitely worth checking to see if your town hosts a similar adults-only outdoor movie experience. 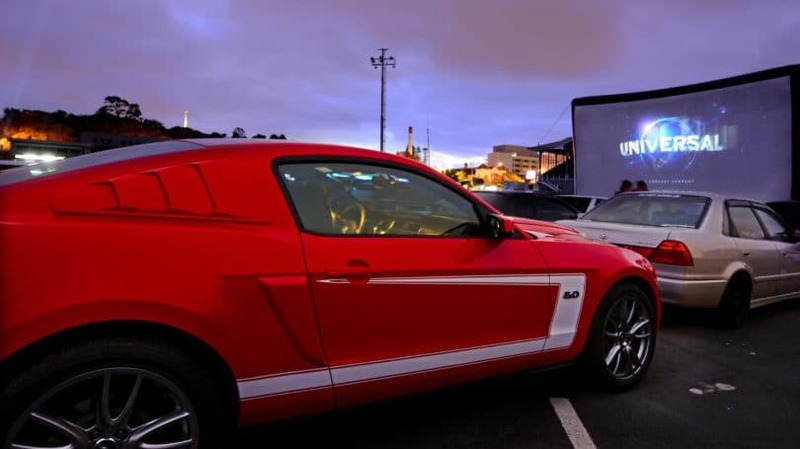 If you can’t find an outdoor movie series, a drive-in is the next best thing — maybe even better as being in your car gives you the benefit of privacy, which is a luxury for any parent of young kids. Ticket prices at drive-ins are generally much less than at regular theaters, plus many let you bring your own food and stay for double features. Check out Fandango.com to purchase your tickets ahead of time. Plenty of communities offer outdoor music, either during festivals or at any number of venues during the summer months. Best of all, it isn’t hard to find ones that are free. Check out your local community events calendar to see who’s playing where. 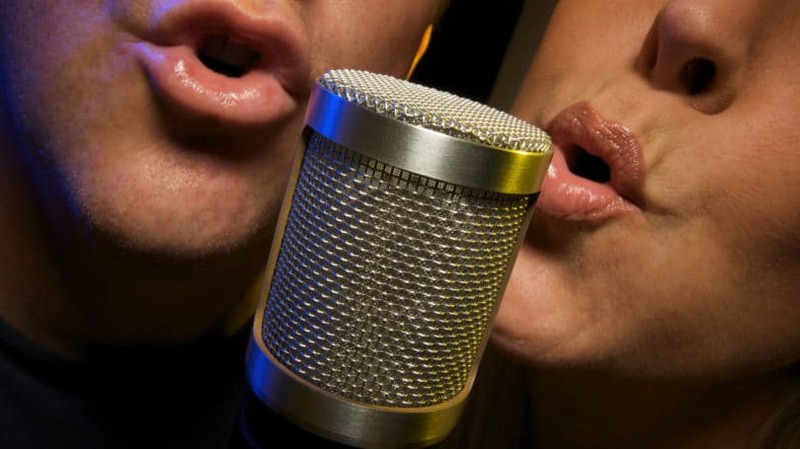 Anywhere you live, you’re likely to find one or more local establishments offering karaoke. Even better, karaoke is often free, and since it usually happens at bars, you’ve got your whole budget to spend on some liquid courage. Just make sure to save some money for cab fare or designate one of you as the driver to make sure you get back to the kiddos safe and sound. 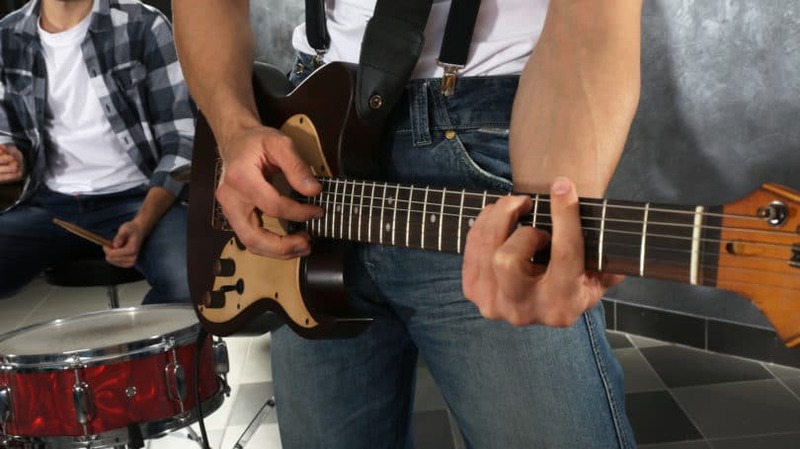 If you’re more into watching performances than being in them, skip the karaoke and check your local listings to find the bars or pubs that are hosting local bands on your date night. Like with outdoor concerts, listening is often free, although you might want to use your budget on a beer or two. 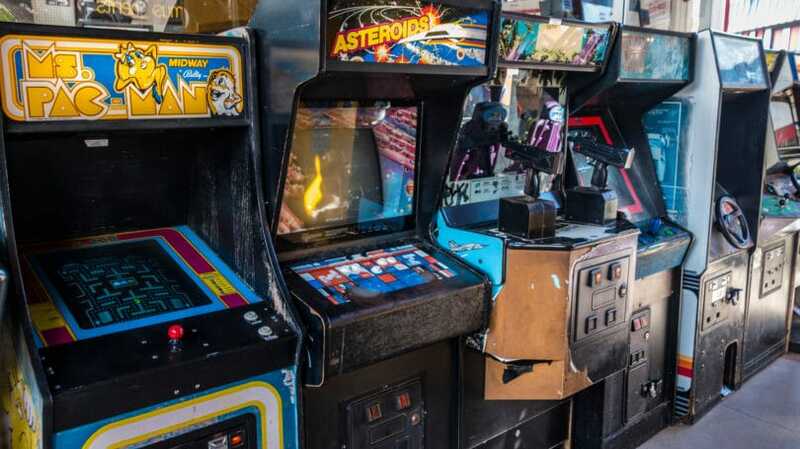 Old-style arcade games — think “Pac-Man” and “Donkey Kong” — have made a comeback, resulting in a proliferation of establishments boasting restored retro games, including pinball machines, coupled with cocktails and drafts. We have one in our community that lets anyone who’s drinking play unlimited games for free. Bowling is great fun for a group date, but it can also be fun for just the two of you — as long as you’re not overly competitive. 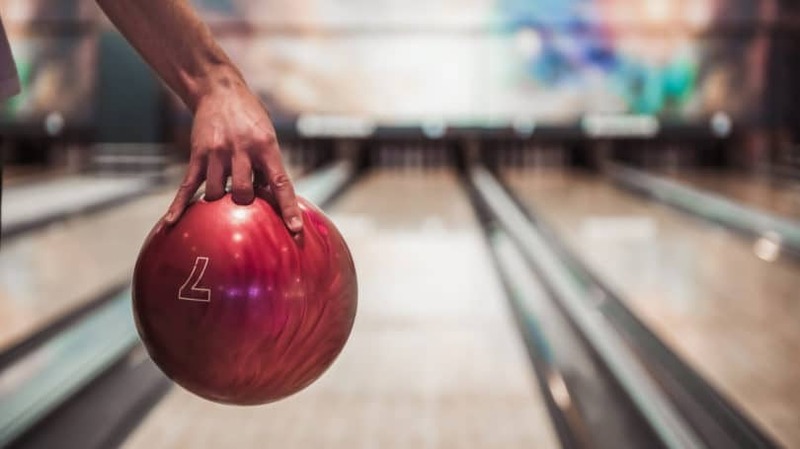 Our area even boasts a few upscale bowling establishments sporting everything from lounge chair seating to cocktails, craft beers, and actual restaurants. Mini golf is one of my favorite fair-weather activities. 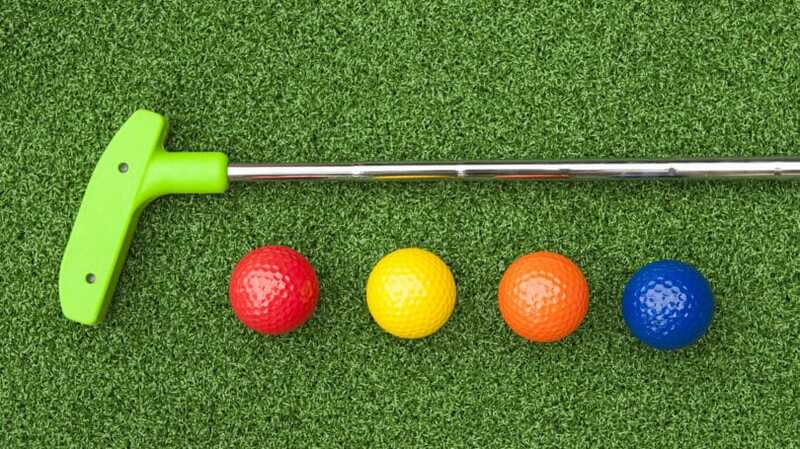 Our son isn’t yet old enough to grasp the concept of the game or handle a putter, which makes this a perfect date night idea for Mom and Dad. Even if your kids are old enough, it can be especially fun to enjoy “kid” activities when the kids aren’t around. 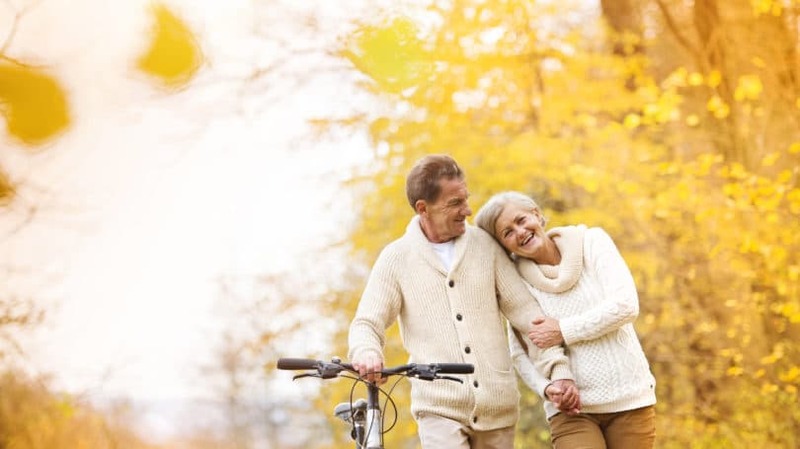 Depending on the season, try some romantic ice skating or kick it old-school by roller skating. Some ice skating and roller rinks even host adults-only nights. 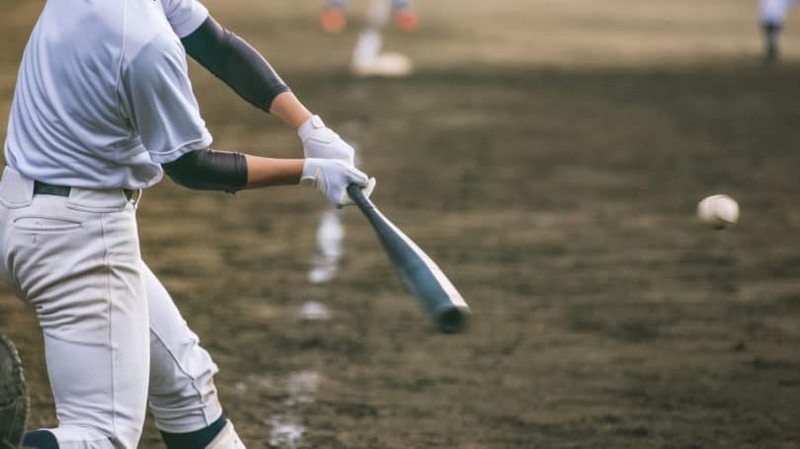 Although major league baseball games can cost a pretty penny, tickets to a minor league game are typically less than $10 apiece. Even better, minor league games often feature fun events and themed nights you won’t find at major league games. If you’re into playing games, find out if there’s a local restaurant or pub that hosts a trivia night. 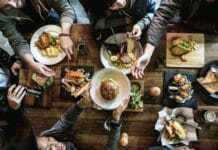 Though you’ll be expected to buy food or drinks, many establishments offer low-cost food and trivia night specials, and the trivia itself is typically free. I met my husband at a bookstore, and as both an avid reader and a writer, a visit to the bookstore holds a special place in my heart. We often go with our son, but it’s a whole different experience to be able to linger over books or magazines with a cup of hot coffee. Have a new bakery you’ve been meaning to try? Why not pick up some fresh-baked treats and then take a stroll through your neighborhood or city? We have an arts district in our community that hosts a monthly “gallery hop.” Shops, bars, restaurants, art galleries, and more welcome foot traffic during special evening hours, and many lure in visitors with free snacks and drinks, such as cookies and punch. 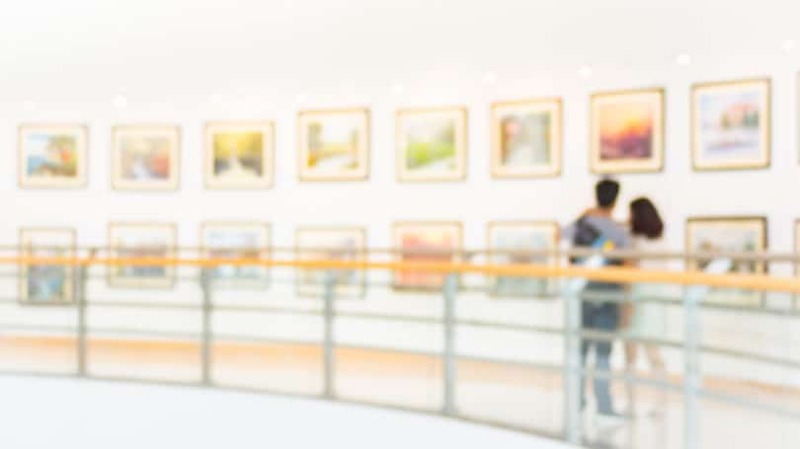 Gallery hops are common in many areas around the United States, so if you live in an artsy town or near a city with an arts district, look to see if they host one. For a date night with a “travel” feel, pretend to be a tourist in your own city. You can walk or bike around your neighborhood; many communities offer bicycles for rent if you don’t have one of your own. Imagine you’re on an urban adventure and explore the sights your city or neighborhood has to offer. If you have museums in your town, find out if they have free admissions days. Many offer them as a way to attract more regular visitors. And while exploring museums is a great way to spend family time, sometimes it’s nice to go when you don’t have to constantly keep an eye on your little one and worry about what they might be getting into. Winery tours aren’t only for those lucky enough to live in Napa Valley. Wineries, as well as craft breweries, can be found all over the United States. You can scour a site like Groupon for discount tasting vouchers, but know that many breweries and wineries offer tours for free. 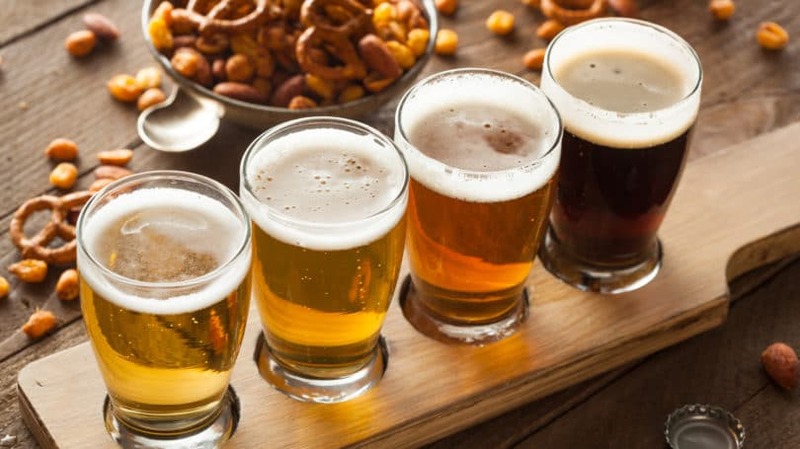 You may even be able to sample some of the craft beers or wines for little to no cost. If you discover something you like, be sure to pick up a bottle to take home. It might be difficult to stick to your $20 budget at a farmers market, depending on what yummy goodies you discover. But if you go with a plan in mind — such as cooking a romantic dinner when you get home — and stick to only the ingredients called for in your recipe, it’s doable. Alternatively, you could plan to merely stroll through the stalls, nibbling on samples and maybe some artisan ice cream or fresh smoothies. Visiting a local park costs nothing at all, and though many close at dusk, a park can be a lovely option during those long summer nights. Some parks have special evening hours or programs, so be sure to check with your local parks and recreation department. To make it extra special, pack a picnic lunch or dinner complete with good wine and some romantic foods, such as chocolate and strawberries. Try Allrecipes’ romantic picnic recipes for some inspiration. A picnic in the park is one way to enjoy the outdoors, but taking a nature hike or even just a stroll can also be an enjoyable way to pass some kid-free time. Most communities have parks and nature trails that are free to use, and though for safety reasons many close their gates at dusk, some have special nighttime programs for exploring nocturnal animals that are worth checking out. Take a drive away from the light pollution of your neighborhood, out to a place where you can fully appreciate the grandeur of the night sky. 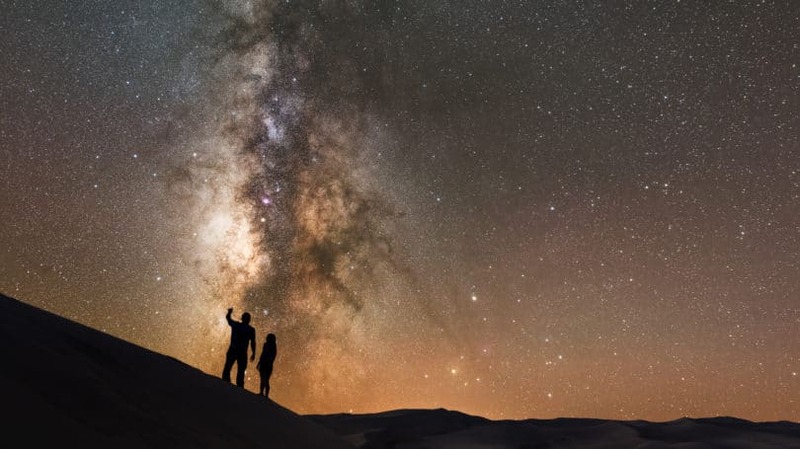 Make sure to take a book or app that helps you figure out which constellations are which, such as “100 Things to See in the Night Sky.” Alternatively, if your community has one, try visiting a local observatory. 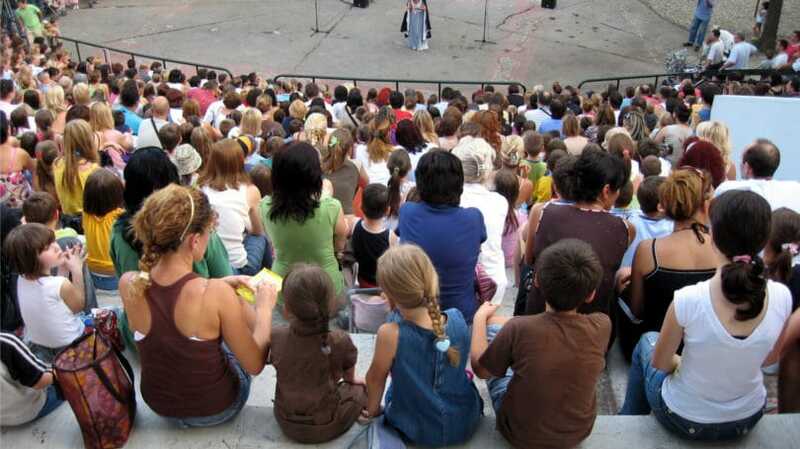 Many offer public programs for a relatively low cost. If you live near water and are the outdoorsy type, look into renting a canoe, kayak, or paddle boat. Prices can vary widely depending on the establishment, but it’s possible to find rental prices as low as $20 per hour. If you’re into this kind of activity, it can be the ultimate, hit-all-the-right-notes kind of date. Paddling a canoe is a cooperative activity that comes with the added benefit of the romance of being on the water. You can even pack a picnic and paddle your boat to a secluded location for a romantic lunch or early dinner. Like some of the other date ideas listed here, this works best as a day date, but I did discover a park near us that offers “moonlight tours”; your local park might do the same. Find a local pub hosting a local band, or check out your local community listings for actual dances. For example, I used to attend a regular ballroom dancing night at a country club hosted by the local community. Admission was a mere $5, and if you arrived early, you could even take “free” lessons. 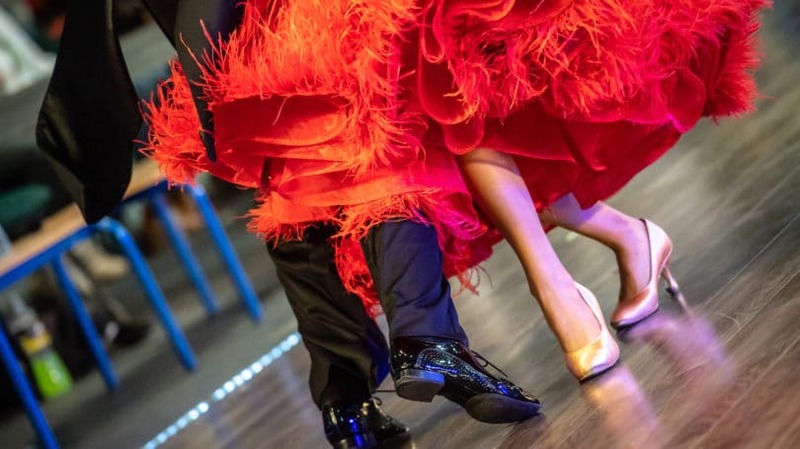 It was a popular event in a beautiful location that was regularly attended by people of all ages, singles and couples alike. Every community offers something different, so for the ultimate date night inspiration, be sure to check your local community calendar. It’s also worth investigating if your community has an online magazine or blog aimed at helping you discover everything your city or town has to offer. 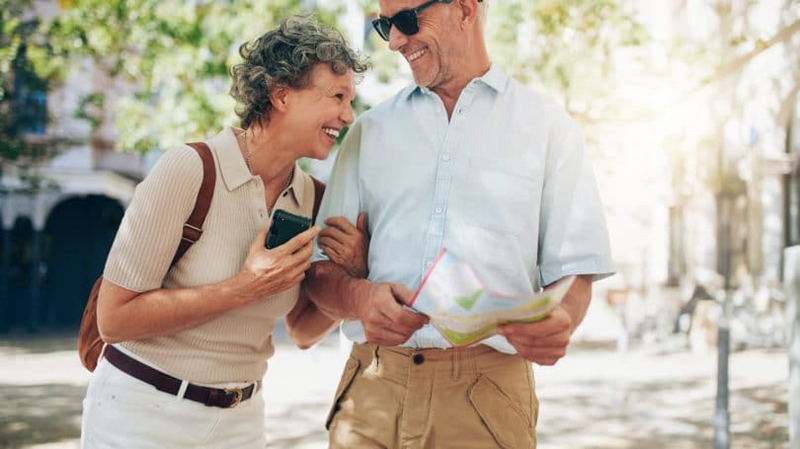 The better you know your neighborhood, the easier it will be to come up with fun and low-cost date night ideas that go beyond the usual. Also, keep an eye on deal sites like Groupon, which will not only give you the ability to purchase date night activities at steep discounts but will also give you ideas for things you might never have thought of otherwise. In the meantime, remember that a great date night doesn’t have to cost a fortune. The most important thing is to take some time for each other amidst the hustle and bustle of daily life and parenthood; that’s something that’s worth every penny. 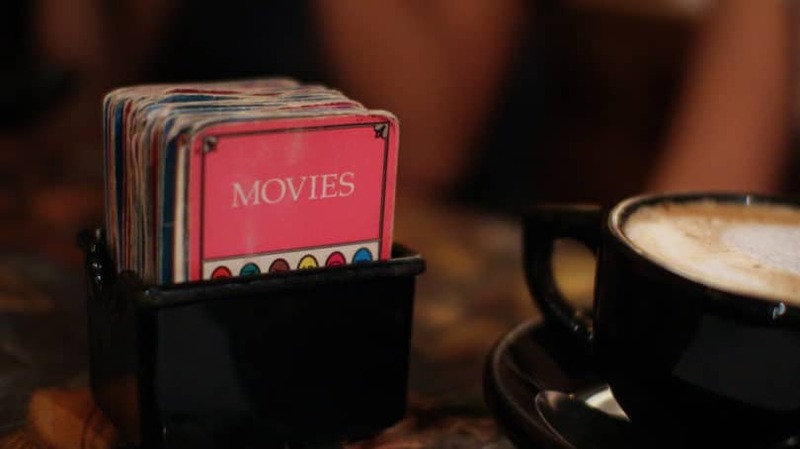 What are some of your favorite ways to spend a date night out? How do you save on date nights? Sarah Graves, Ph.D. is a freelance writer specializing in personal finance, parenting, education, and creative entrepreneurship. She's also a college instructor of English and humanities. When not busy writing or teaching her students the proper use of a semicolon, you can find her hanging out with her awesome husband and adorable son watching way too many superhero movies.